Once we decided on Savannah, GA and Hilton Head, SC as our spring getaway destination, we were eager to start looking up things to see, places to go, foods to eat, etc. In the process I learned how much The Baron loathes Paula Deen. He is definitely not a fan and refused to entertain the idea of visiting her famed restaurant in Savannah. Given this, it seemed only appropriate to bring Paula to him instead of getting him to her restaurant lol. This recipe was rich with the bacon and heavy cream so you know it's got to be good. We enjoyed this as a side dish, which is perfect with steak and potatoes. This looks delicious and o' so creamy. I am counting the days to our summer vacation (still too many) We haven't been to Savannah in years. 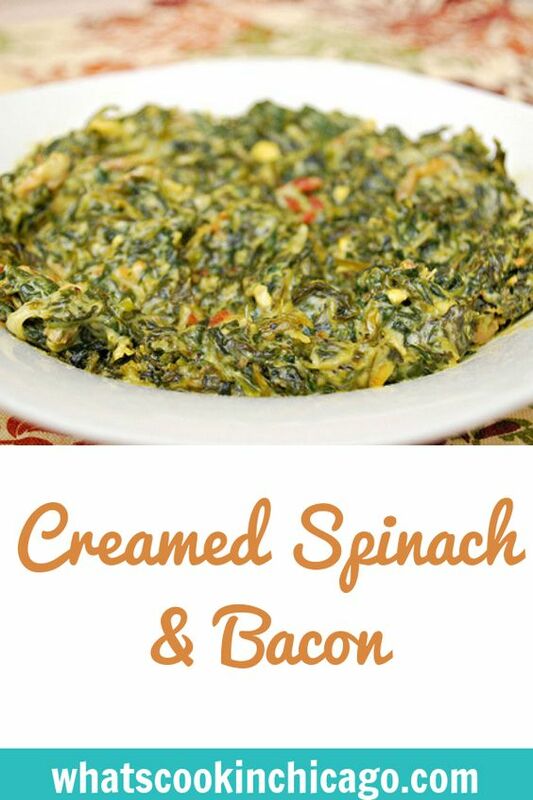 I so love your addition of bacon to creamed spinach. 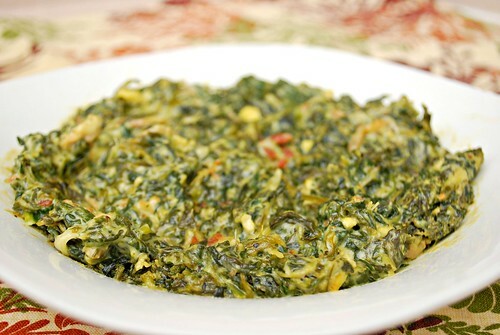 I am a huge creamed spinach lover. Can't wait to try this. Have fun in Savannah. This recipe looks so good, can't wait to try it!